These stories are just the right blend of whimsy and weirdness. I'm so glad to have discovered Yukiko Motoya's work and I can't wait to read more! A housewife takes up bodybuilding and sees radical changes to her physique, which her workaholic husband fails to notice. A boy waits at a bus stop, mocking commuters struggling to keep their umbrellas open in a typhoon, until an old man shows him that they hold the secret to flying. A saleswoman in a clothing boutique waits endlessly on a customer who won't come out of the fitting room, and who may or may not be human. A newlywed notices that her spouse's features are beginning to slide around his face to match her own. In these eleven stories, the individuals who lift the curtains of their orderly homes and workplaces are confronted with the bizarre, the grotesque, the fantastic, the alien--and find a doorway to liberation. 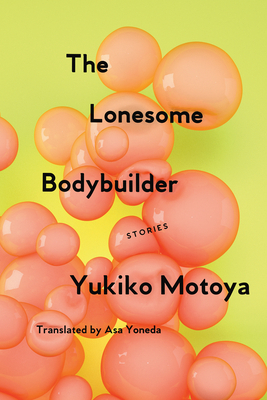 The English-language debut of one of Japan's most fearlessly inventive young writers. Asa Yoneda was born in Osaka and studied language, literature, and translation at University of Oxford and SOAS University of London. She now lives in Bristol, U.K. In addition to Yukiko Motoya, she has translated works by Banana Yoshimoto, Aoko Matsuda, and Natsuko Kuroda.